Astrology Free Vedic astrology Software. A very good and free astrological program for Windows which can calculate up to 19 Varga Charts, Ashtakavarga and 4 types of Dasha. 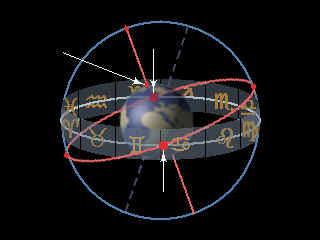 A good program for the beginners of Astrology, easy to use, Calculates 7 Varga Charts and Vimshottari Dasha. A DOS program for the calculation of Rashi, Navamshaka, Chandra Lagna, Bhava Lagna, Ashtaka Varga and Vimshottari Dashas. Программа расчитывает лунный календарь согласно принципам ведической астрологии Джйотиш � время начала тридцати лунных суток (титхи), моменты вхождения Луны в лунные созвездия (накшатры), вхождения Луны в знаки звездного зодиака (раши), вхождения Солнца в знаки звездного зодиака (Сурья-санкранти). Microsoft Excel Work Sheet for the calculation of Ephemeris. Очень простая программа расчета Аштакаварги. Ideal Match, whether there any obstacles for a successful married life in your horoscope such as - Mangalik Dosh (Kuja Dosha) and are impatient to know something about the future Marriage Partner ? the Profession of the best suited spouse and the direction the spouse is coming from? Starts with describing how do you look like or your physical features, mental tendencies and personality. (around. 4 - 6 pages) Then the reading will describe the important happenings in your life and will go in to details of the finer points and features. Such as the areas of learning you are good at, your talents, the areas of occupation you can easily be successful, your likes and dislikes, your marriage, your relationship with your family and children and many other details of your life as whole. (around 6-10 pages including charts). Then the reading covers the periods of your life. Your past, present and the future. What happened and when ? And what things will be happening in the future and when ?. How was last 2 years. How is this year ? ( your income and properties, work and employment, family and home life, education and health) What will be happening ( in detail ) for the next 5 to10 years. What are your good times. What are the bad times. How to overcome the bad effects of planets and what are the inexpensive and simple remedies which will bring you good fortune. (around 5 - 7 pages). Finally, the details about Your health, finance, romance and marriage, ideal match, domestic environment, profession, lucky days, lucky numbers, lucky colours and lucky stones (around 1 -2 pages). This is my personnel web site. I maintain this site because, both Hindu Astrology and web design are my hobbies for many years and wish to share my interest with you. Like myself, have you ever looked at your life in a different angle ?. Why good or bad things happen to us ?. Is it pure coincidence, or is there at least a certain bit of a predictable pattern ?.